Many Alzheimer's caregivers can tell you "sad" stories about UTIs that went untreated. These stories result in trips to the emergency room, hospitalizations or worse. They lead to heartache, and sometimes heartbreak. We are having a lot of discussion about urinary tract infection (UTI), medications, and the difficulty spotting UTIs in person living with Alzheimer's or a related dementia. For certain, UTIs are the bane of caregivers. and, cause changes in behavior. Most often anger, confusion, meanness, and challenging behavior. An undetected or undiagnosis UTI can lead to health complications like pneumonia and sometimes death. Most Alzheimer's caregivers can tell you "sad" stories about UTIs that went untreated. These stories result in trips to the emergency room, hospitalizations or worse. They lead to heartache, and sometimes heartbreak. Typically, the frequency and affects of UTIs are unknown by most AD caregivers. Inspite of the fact that the affects are so sinister, most of us don't know what is going on when they happen. UTIs often go undetected for long periods of time in memory care facilities or a nursing home. My rock solid advice. When the behavior of a person living with dementia changes think - Urinary Tract Infections - first. Don't sit back and blame Alzheimer's. Don't allow yourself to explain the behavior away by thinking, oh, this is another symptom of Alzheimer's disease. Always think Urinary Tract Infection first. Urinary Tract Infection, You Can Learn From My Experience. I am including information about urinary tract infections and medications below. Feel free to share this article with others, or, print this out and take to your doctor. Although antibiotics are the first treatment choice for urinary tract infections, antibiotic-resistant strains of E. coli, the most common cause of UTIs, are increasing worldwide. As more bacteria have become resistant to the standard UTI treatment trimethoprim-sulfamethoxazole (TMP-SMX), more doctors have prescribed quinolone antibiotics to treat UTIs. In some areas, quinolones have now overtaken TMP-SMX as the most commonly prescribed antibiotic for UTIs. Researchers are concerned that resistance may develop to these drugs as well. The beta-lactam antibiotics share common chemical features and include penicillins, cephalosporins, and some newer similar drugs. Penicillins (Amoxicillin). Until recent years, the standard treatment for a UTI was 10 days of amoxicillin, a penicillin antibiotic, but it is now ineffective against E. coli bacteria in up to 25% of cases. A combination of amoxicillin-clavulanate (Augmentin) is sometimes given for drug-resistant infections. 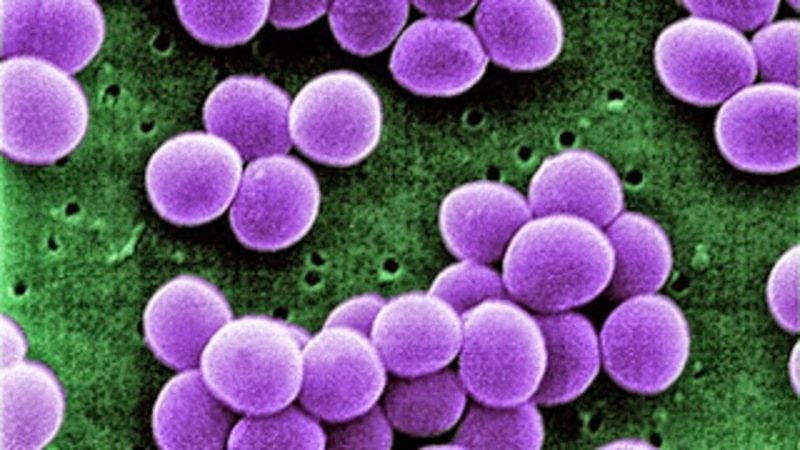 Amoxicillin or Augmentin may be useful for UTIs caused by Gram-positive organisms, including Enterococcus species and S. saprophyticus. Cephalosporins. Antibiotics known as cephalosporins are also alternatives for infections that do not respond to standard treatments or for special populations. They are often classed as first, second, or third generation. Cephalosporins used for treatment of UTIs include cephalexin (Keflex), cefadroxil (Duricef) cefuroxime (Ceftin),loracarbef (Lorabid), and cefixime (Suprax, among others. Other Beta-Lactam Drugs. Other beta-lactam antibiotics have been developed. For example, pivmecillinam (a form of mecillinam), is commonly used in Europe for UTIs. The typical treatment is a 3-day course of the combination drug trimethoprim-sulfamethoxazole, commonly called TMP-SMX (such as Bactrim, Cotrim, or Septra). A 1-day course is somewhat less effective but poses a lower risk for side effects. Longer courses (7 - 10 days) work no better than the 3-day course and have a higher rate of side effects. TMP-SMX should not be used in patients whose infections occurred after dental work or in patients allergic to sulfa drugs. Allergic reactions can be very serious. Trimethoprim (such as Proloprim or Trimpex) is sometimes used alone in those allergic to sulfa drugs. TMP-SMX can interfere with the effectiveness of oral contraceptives. High rates of bacterial resistance to TMP-SMX exist in many parts of the United States. Fluoroquinolones (also simply called quinolones) are now becoming as widely used as TMP-SMX. They are the standard alternatives to TMP-SMX. Examples of quinolones include ofloxacin (Floxacin), ciprofloxacin (Cipro), norfloxacin (Noroxin), and levofloxacin (Levaquin). Pregnant women should not take fluoroquinolone antibiotics. They also have more adverse effects in children than other antibiotics and should not be the first-line option in most situations. Tetracyclines include doxycycline, tetracycline, and minocycline. Treatment with tetracycline or doxycycline may be used for infections that are caused by Mycoplasma or Chlamydia. Tetracyclines have unique side effects among antibiotics, including skin reactions to sunlight, possible burning in the throat, and tooth discoloration. They cannot be taken by children or pregnant women. Aminoglycosides (gentamicin, tobramycin, amikacin) are given by injection for very serious bacterial infections. They can be given only in combination with other antibiotics. Gentamicin is the most commonly used aminoglycoside for severe UTIs. They can have very serious side effects, including damage to hearing, sense of balance, and kidneys. Nitrofurantoin. Nitrofurantoin (Furadantin, Macrodantin) is an antibiotic that is used specifically for urinary tract infections as an alternative to TMP-SMX or a quinolone. Unlike many of the other drugs, however, it is usually taken for 7 - 10 days, even in cases of simple cystitis. It is not useful for treating kidney infections. Nitrofurantoin frequently causes stomach upset and interacts with many drugs. Other chronic or serious medical conditions may also affect its use. It should not be used in pregnant women within 1 - 2 weeks of delivery, in nursing mothers, or in those with kidney disease. Fosfomycin. The antibiotic fosfomycin (Monurol) may be prescribed as a 1-dose treatment for women who are pregnant. Doripenem. Doripenem (Doribax) is a new carbapenem antibiotic, which was approved in 2007 for the treatment of complicated urinary tract infections. It is given by injection. Although antibiotics can cure most urinary tract infections, severe symptoms can persist for several days until treatment effectively eliminates the bacteria. A number of options are available for relieving symptoms until the antibiotics take action. Phenazopyridine. Phenazopyridine (such as Pyridium, Uristat, Barodium, Eridium, and AZO Standard) relieves pain and burning caused by the infection. Patients should not take this medicine for more than 2 days. Side effects include headache and stomach distress. The drug turns urine a red or orange color, which can stain fabric and be difficult to remove. Rarely, it can cause serious side effects, including shortness of breath, a bluish skin, a sudden reduction in urine output, shortness of breath, and confusion. In such cases, patients should immediately call the doctor. Antispasm Drugs. Methenamine (such as Atrosept, Prosed, and Urised) or flavoxate (Urispas) reduce bladder spasms, which may occur with some UTIs. These drugs can have severe side effects, however, that the patient should discuss with the doctor.